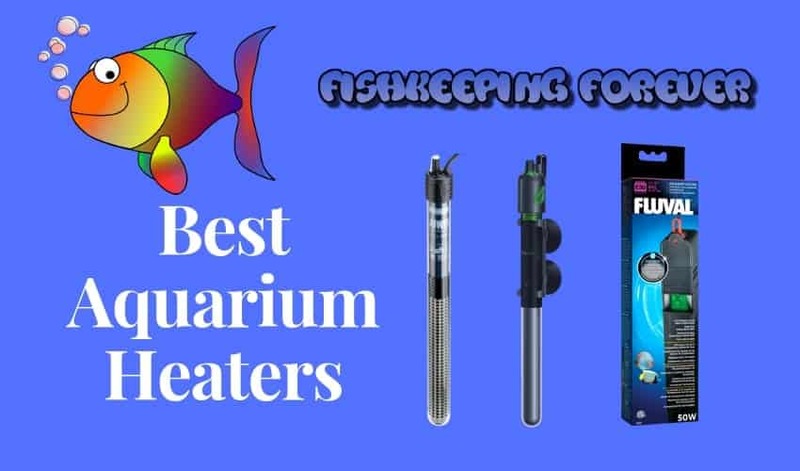 Best Aquarium Heaters - The complete buyers guide! Blog Best Aquarium Heaters - The complete buyers guide! Best Aquarium Heaters – The complete buyers guide! Most aquatic animals are cold-blooded, which means that the aquatic life is not able to regulate the temperature of their bodies. Thus, the temperature of their environment needs to be maintained whether it is natural or man-made. The primary purpose of an aquarium heater is to regulate the temperature of the tank. The temperature of the water should be consistent and not change irrespective of the weather outside. Small aquariums or bowls can prove to be difficult to maintain. They are especially important if the fish you keep are Tropical or Saltwater fish. The ideal temperature for most tropical fish is around 78F. Following are some of the best heaters for small tanks. This heater has a shell that is long-lasting and corrosion-proof. It provides an even distribution of heat. The thermostat is digital and accurate to 1 degree thus making the managing easy. A LED light indicates when it is active, turning red, and when the ideal temperature is reached it changes to green. The heater has generated rave reviews on Amazon with 82% of the 1474 users rating it above 4 stars. It has an overall rating of 4.1 out of 5 by 1474 customers of Amazon. Some of the consumers claim that after a couple of years the heater breaks. This is a more traditionally styled heater in that it cannot be fully immersed in water. It comes with a power-off memory button so in case the device switches off for any reason it will restart at the previously set temperature. It also regulates the temperature of the automatically, i.e. that when the water reaches the desired level it turns off. The heater is suited for tanks sizes ranging from 1 to 15 gallons. It has an LED display that shows the temperature at all time. It has been rated 3.9 out of 5 by 50 customers of Amazon. This is an affordable, fully submersible heater finished off with a high-grade quartz glass. It has a ceramic core that along with its style further aids in the even distribution of heat in the water. The heater is perfect for aquariums and bowls of 50 to 150 gallons. Its finishing makes it shatterproof and usable in either fresh or salt water. It also has a temperature display. It has been rated 3.8 out of 5 by 245 customers of Amazon. This fully submersible heater is one of the most advanced options out there. It has an LCD display that shows the actual temperature of the water inside the aquarium. If the temperature changes by even 2 degrees above or below the pre-set one the screen changes color to indicate an alert of the change. If the rise or fall in the temperature is excessive due to an external source, i.e. 5.5F, the screen will start flashing. It has been rated 3.6 out of 5 by 535 customers of Amazon. The Cobalt Aquatics Neo-Therm heater another is an electronic, submersible heater. It comes equipped with an easy “one-touch” system that allows you to control and set the temperature hassle-free. The temperature can be set accurately up to 0.5F. The heater is good small tanks as it has a height of only 9.8 inches and the other dimensions measure in at 2 and 1 inches. An LED display shows the set temperature and the real-time temperature of the water constantly. Its sleek design ensures that the compact heater does not take up too much space. It has been rated 4.2 out of 5 by 316 customers of Amazon. Hygger provides a fully submersible heater that controls and regulates the temperature by evenly distributing the heat throughout the aquarium. The heater is good for tank sizes ranging from 10 to 100 gallons. It has two suction cups that allows for it to be easily installed vertically or horizontally. The exterior of the heater is high grade, making it shatter-proof and keeping the fish safe from any danger. The compact design is perfect for small bowls and aquariums. The heater has been rated of 3.6 out of 5 by 91 customers on Amazon. This submersible heater is unique in its design as most of the aquarium heaters are made out of glass this boasts a stainless steel exterior. This allows for good conduction of heat and higher durability as compared to glass heaters. The heater is perfect for tank sizes ranging from 15 to 100 gallons. The thermostat is digital and ranges from 64F to 93F, although the temperature is displayed in Celsius. The heater is equipped with two suction cups that make it easy to mount either horizontally or vertically. The heater is designed in a way that fish cannot scald themselves and the material is not prone to corroding in fresh water. Overall the size of heater and style will depend on your individual needs and often comes down to maker choice. 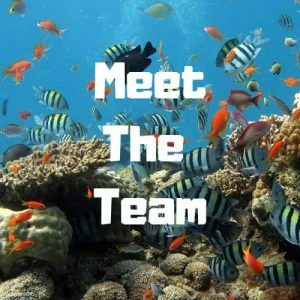 Fluval is a long established company with a fantastic reputation and often is the first choice for many aquarists. There are tons of new companies on the market selling some innovative aquarium equipment so don’t stick with your old buying ways. Look at some of the new equipment coming onto the market, it’s more efficient than your old heaters and more reliable. Gone are the days of needing two heaters in your aquarium just in case one breaks, although if you’re running a very expensive tank it might still be a good idea. But most heaters made in the last year or two are very reliable and come with extended warranties. The cost of a good heater is around $40 that’s the cost of one fish so don’t be tempted to use an old heater and risk losing all your lovely fish. It simply isn’t worth the risk. If you think your heater is on its last legs then DON’T WAIT get a new heater installed quickly. Heaters have for years been an essential part of fishkeeping and will be for years to come. Technology is improving day by day and we think we are at a point where we have some of the best aquarium heaters available to us to date. If you’re thinking of buying your first fish tank you might want to read our complete guide to starting an aquarium- Starting a fish tank for beginners. Let us know what type of heater you have and why you like it.